The first game of football was played in 1869 between Princeton University and Rutgers University in New Jersey. But since then, almost two hundred years later, the sport and its culture have changed quite a bit. Specifically, flag football leagues have sprouted across the United States due to their non-contact regulations and low costs. 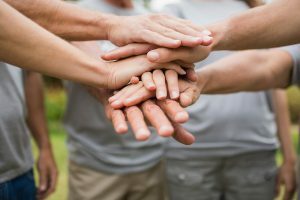 If you are interested in starting a league in your community, you might need a few tips and strategies to get it off and running. 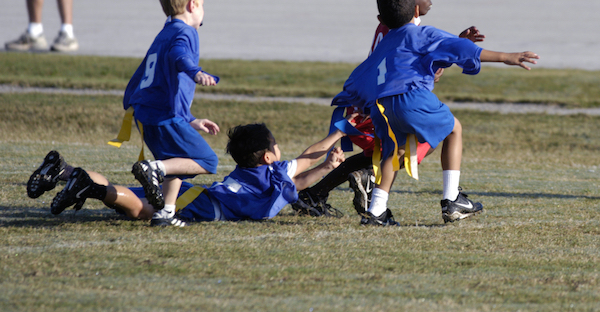 In this post we’ll cover everything you’ll need to decide how to start a flag football league. Follow along to start getting prepared for your inaugural season. Let’s break out the necessary steps you need to take to get your league off the ground. Do you have any friends or other parents who are willing to handle some responsibility maintaining the league? It is important that your league defines a few leaders to oversee the structure of the league and teams. Also, having board members to help with administration, marketing, and field maintenance is critical. In the beginning, you may have trouble getting absolutely everything right and it may seem like an experiment. But after a year or so your board will be running like a well oiled machine. Finding parents to volunteer to coach is equally as important. Without any coaches, there is no league. Fortunately, parents of players have historically filled the role of team coach for a season, so if you can recruit players, you can probably recruit coaches. Remind them that the only commitments they have to make are hour-long practices during the week and games on weekends. You can also offer a discount or other incentives to parents that volunteer. Running a flag football league is a team sport. Flag football is played on the exact same field as regular football fields – one hundred-yard fields with markings. However, some flag football leagues mark every five yards instead of every ten yards like on a football field. It’s up to your league’s discretion whether to mark every five or ten yards. Your league will need several fields in play at one time if there are more than two teams, and it may be wise locate them all within walking distance. If the areas are publicly-owned, contact your local parks department to reserve the area for the season’s practices and games. Also, take a look around the area. Are there concessions and bathrooms for parents, players, and fans? If not, consider renting porta potties and tents for food and beverage options. Beware: this may be a costly option. During the summer and early fall months, the heat index in your town may rise to dangerous levels. It’s important to have both shade and ample opportunity for hydration – especially during day-long sporting events like tournaments – for everyone enjoying your league’s games. Getting your facilities in order is critical to the success of your league. Before marketing your league to the public, create a logo and branding. Make sure it remains consistent throughout your league’s advertising campaigns so you can build credibility. You can use the logo on t-shirts, uniforms, your website, and any other promotional materials. Don’t have the art skills to make a logo yourself? It’s pretty cheap and easy to get a logo made by a freelancer using a service like www.upwork.com or www.freelancer.com. If you’re starting your league from scratch, NFL Flag Football offers plenty of marketing materials and resources to get your league up and running, including the use of NFL Flag Football branding and NFL team logos and jerseys. You can start getting the word out about your league on social media. You should definitely consider creating Facebook, Instagram, or Twitter accounts for your league so you can promote registration, post event photos, and more. Work directly with local schools to get marketing materials in the halls and exposure in their existing football programs. Local high school coaches are normally willing to get involved to help get the word out to families in the community. Just as important as coaches are referees; work with the local school district to organize referees and other officials for all your games and tournaments. When promoting the registration period for your very first season, make sure to define the age boundaries for your league. Make clear where your games are going to be played, when they will take place, how often practices will be held, and other necessary details that both players and parents should know. 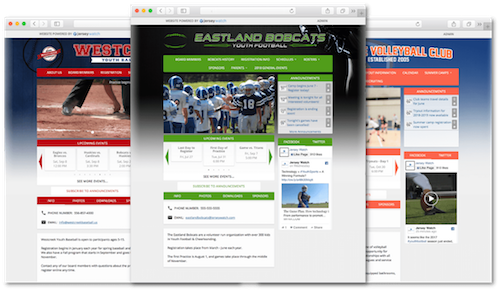 Finally, create a website for your league so the players and parents can easily access all important information. Create a league-wide schedule before the several months before the season starts so parents can plan family vacations and absences throughout the season. Before the season, you can register players and collect payments. Once you finalize schedules you should post the on your league website along with rosters and coach contact information. Setting up a website can help make your league a success and make your life less stressful. Registration tip – be sure to gather all the necessary information during the registration process, including birth dates, t-shirt sizes, and any other information you need. Collect email addresses and mobile phone numbers from parents so they will be notified of upcoming practices and games. Also, make sure that each player in the league has his or her registration fees paid, liability forms signed and returned, and any other administrative documents sent back to the league. Want to make registration super simple for you and the participants? Follow these quick tips – 5 ways to simplify registration. With Jersey Watch, it is easy to setup a website to collect payments, register players, schedule events, and communicate with participants. Click here to try it out!